If you're looking for a small but attractive base station. You won't find one much sleeker than the TYT TH-8600. This dual band mini mobile radio does exactly what it says on the tin. The radio is of 'mini' size and most importantly. IP67 Waterproof rated. This makes the base station radio perfect for quad bikes, motorbikes and other outdoor surroundings. 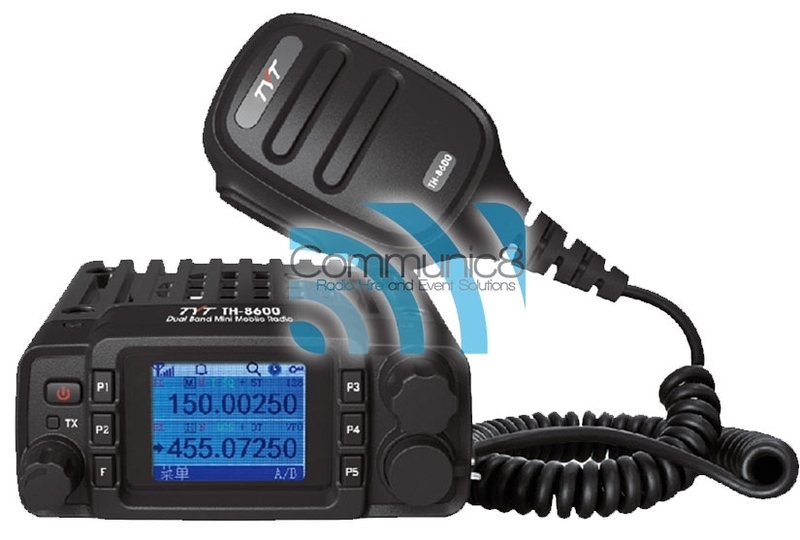 The TH-8600 features a colour LCD display, dual band functions, programmable keys and CTCSS encoding/decoding. Looking for a modern analog base station that won't break the bank?. The TYT TH-8600 is a perfect solution and is easy to get to grips with.